In 2012 I walked into 59E59 Theaters to see a show called Take What Is Yours co-written and performed by Erica Fae. Fae's portrayal of the hunger strike and eventual force feeding of National Woman's Party founder Alice Paul introduced me to a theatre artist who uses her considerable talents to tell the stories of women who history has forgotten. Aside from her ability to craft these stories into narratives that do these women justice, Fae's physical acting background adds another dimension to her portrayals that take them to another level. In fact, she teaches physical acting training at Yale School of Drama, The New School for Drama's MFA program, and used to teach at NYU's ETW. I say all of this in order to explain why it is that I'm doing something very different in this piece: I won't be talking about a piece of theatre, but instead about a film. This film, as you might have guessed, is by Erica Fae, and the description of my experience of her work should serve to explain why I felt I should make this exception in topic. 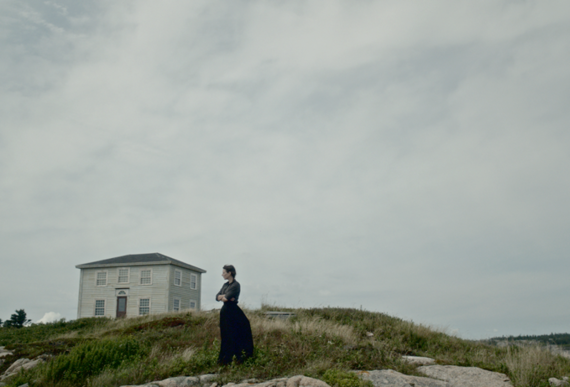 Fae has just produced a feature film called To Keep the Light, where she tells the story of a female lighthouse-keeper in 1876 Maine. I took this opportunity to ask Fae a few questions about feminism and art, and I hope that you find her answers as interesting as I do. Bess Rowen: Your theatre work has always shone its own light onto women written out of the pages of history books. 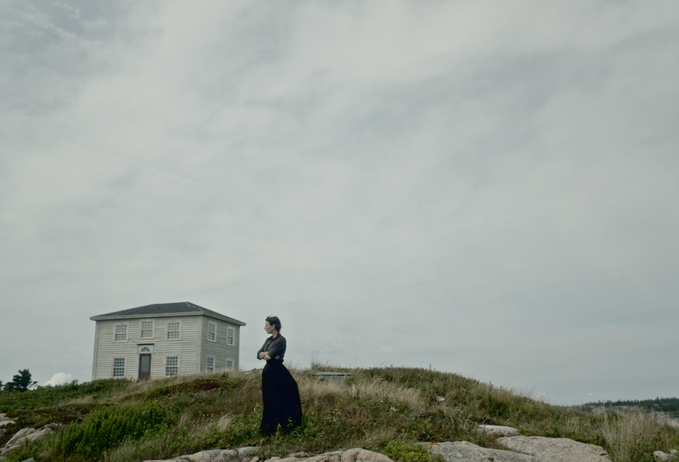 In To Keep the Light, your work takes two interesting new turns: a composite female character and the filmic medium. How is this work an extension of your theatre work? Erica Fae: I am drawn to stories of amazing women from history - and yes, up until now I have made pieces on specific women (Joan of Arc, Kahlil Gibran's benefactress Mary Haskell, Christine de Pizan, Alice Paul). When my research led me to lighthouse keepers, I found myself fascinated by the worlds these women inhabited, but I didn't want to tell the story of a particular woman. It was their collective presence, a largely unknown presence, that spoke to me. Plus, sculpting the film's story using a composite character gave me the freedom to play with other plot elements untethered to historical facts. BR: In the same vein, what is it about To Keep the Light that made you ultimately choose to make a film instead of a theatrical piece to tell this story? EF: The first film I ever made was Christine 1403, a short derived from the words of medieval writer Christine de Pizan, the first woman known to have supported herself through writing... badass. At the time, I was attracted to Christine and her work, and had been trying to make a theatre piece about her, but it just wasn't clicking. Then a friend suggested that I use the material to make a film, and it kind of blew my mind open - as I'd never imagined that I would create a film. Since then, I've been open to getting a sense of the texture of a new work - when it feels like film, and when it feels like theater. To Keep the Light actually started out as an idea for a short film, but when I started writing I immediately saw it was a feature. I never even considered it as theatre piece -- the landscape, the lighthouse tower, and the visuals are all such huge elements in its world. Also, the language of film allowed me to play with a slower and more contemplative timing, something not easily suited to the stage. Contrast that to my last theatre piece, Take What Is Yours - which dealt with such harsh content as imprisonment and force-feedings - and the abstraction possible in theatre made the right medium for that story. To be able to imply, hint at, and stir the audience's imagination into seeing the violence -- but never really showing it -- that was how we (myself and my collaborator on that piece, Jill A. Samuels) manifested that story on stage. Putting all that on film would have been too much. But with To Keep the Light, so much of the story involves imagery, the rhythm of the sea seeping into Abbie's mind, transforming her reality... I knew that it had to be told via film. BR: As we near the end of Women's History Month, I can't help but ask you about how you feel about the progress that has been made since the time in which your film is set to now. What do you think this means for women in the performance realm, particularly, and women in the world in general? EF: I always hope to bring to contemporary audiences an awareness of just how freaking amazing women have been for a long time. These stories are largely absent from our collective history books. By mining them and sharing them on stage or screen, I feel I'm doing my small part to help people realize that women have been trailblazers for centuries. I think if women and men knew about more of these fore-sisters, it might lighten the load in our ongoing push for equality. Plus, I think they're simply great stories! BR: Anything else you would like us to know about the film? I know that I personally will be on the lookout for this film and for other projects from artists like Erica Fae, who help historical women shine on.